Itasha 痛車 - Literally in Japanese translates to a car which causes pain for those who look at it. For years now, I've seen Itasha cars driving around Tokyo's bustling cities and appearing at car meets but I really never understood the culture behind it. For something that is suppose to cause pain when people look at it, why on Earth would you do it? Wanting to have my answers fulfilled, I reached out to my Rare Breed Friends back in the States for help. Next thing I knew, my little idea sprawled into underground car meet with more cars than I knew what to do with! 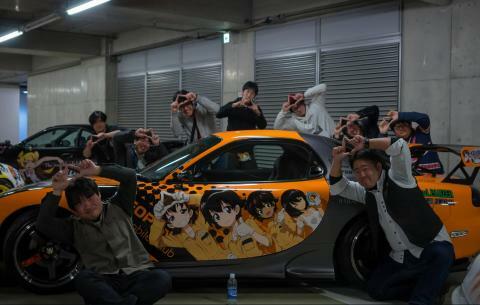 So this time on Tokyo Tuner, join me as I dive in to the Itasha car culture!! ATTN: - Sushi is literally going extinct.